According to the World Bank’s updated data for 2017, India is now the sixth largest economy in the world standing at $2.597 trillion at the end of last year. India surpassed France, which stands at $2.852 trillion. This growth is an impressive feat, considering ten years ago India’s GDP was half to that of France. India’s GDP saw a growth of 7.7% in the last quarter of 2017, contributing to the overall larger number. There are a few factors mainly responsible for India’s stable growth. Firstly, there has been more stabilization of growth within sectors such as agriculture, industry, and services. Second, India’s overall economy has also shifted towards the services sector, where growth is more stable overall. Additionally, growth has also been broadly diversified, growing the fastest in services, then industry and less so in agriculture. Finally, a massive contributor to the stability of growth has been India’s resilience to shocks, both domestic and external. For example, the 2008 global recession affected India only the first year. India immediately bounced back in 2009, with an impressive growth rate of 8.5%. India’s economy is diverse in sectors and geography, and this largely contributes to the resilience of the country’s GDP. India’s production structure is diverse due to its ability to produce a multitude of products, commodities, and natural resources. India’s trade basket is also broad, consisting of a diverse set of trading partners, so a slowdown in one part of the world does not have a drastic effect on India’s economy overall. All of these factors have helped India grow consistently. India’s recent accelerated growth mainly stems from an increase in consumer spending. Estimates suggest the growth will be continuous and accelerated. 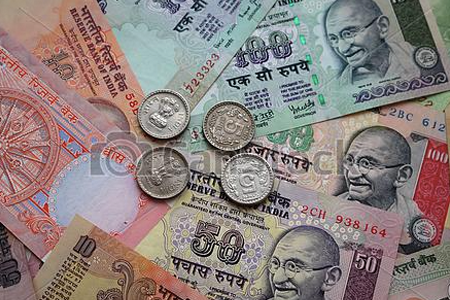 According to the International Monetary Fund, India is projected to grow a total of 7.4% this year and 7.8% in 2019. India has been undertaking multiple consumptions, and tax reforms, that are seemingly working. According to the Center for Economics and Business research, India has a good chance at becoming the world’s third largest economy by 2032, given current trends continue. However, another factor to consider is that India is also the second most populated country in the world, set to become to the first, surpassing China, by 2024. India has a population of 1.3 billion people. When considering those numbers, India’s $2.59 trillion does fall short of providing everyone in the country with sufficient income to live well. India’s GDP per capita is $1,940, twenty times lower than France’s $38, 477 and about four times lower than China’s $8,827. Even though India’s GDP has been growing consistently, its GDP per capita has seen a lot more fluctuation and an overall decline in the past fifty years, due to its growing population. The impact of India’s GDP growth can only be wholly beneficial if population growth slows as well and income inequality stays low. There is a still a long road ahead to development for India, but it is definitely in the right direction and on the way. India’s economy has been growing consistently at impressive rates. In addition to the 7.7% growth in the fourth quarter, India grew a total of 7.1% in 2016 and 8.0% in 2015. Since the 2008 recession, India’s GDP growth has not fallen below 5.5%, staying consistently higher. However, the country’s growth is not just limited to recent short-term numbers. In addition to short-term fluctuations, India has had a long-term steady growth as well. India’s long-term economic growth has steadily accelerated over a fifty-year period, without any prolonged reversals. GDP growth from the 1970s to 80s averaged 4.4% but accelerated to 5.5% from the 1990s to early 2000s, and further 7.1% in the past decade despite the recessions. Point to be noted here is that, not only is the economy growing at an accelerated pace but the growth of the economy is also accelerating. This accelerated long-term growth proves that the current exponential growth is not an exception but a continuation of the trend. It also goes to show that it is possible to retain the current growth into a long-term trend. As awareness about climate change increases has sparked the move away from gas and diesel powered vehicles and a move towards electric vehicles (EVs). Countries all around the world are introducing programs and policies to make electric vehicle ownership more attractive to prospect consumers, and many of these programs are having considerable success. The United States has implemented several policies to jumpstart the EV market, and as a result, the United States is now home to one of the largest electric vehicle markets in the world. In 2017 nearly 200,000 electric vehicles were sold in the United States. The December 2017 sales confirmed that electric vehicles held a share of 1.6% of the overall vehicle industry in the United States, with sales between June 2016 and June 2017 increasing 45% from the previous 12-month period in comparison to the overall EV market from 2012 to 2016 which experienced an annual growth of 32%. Such statistics are encouraging for the future of the industry. As the EV industry in the United States continues to grow, the Indian market for electric vehicles has stuttered. In 2016, electric vehicle sales in India had only just passed 4,800 units. Demand for EVs is sparse, and the infrastructure and regulations necessary to spur the market are insufficient. While legislature in the United States emphasizes incentives for buyers of electric vehicles, Indian government policies primarily look to incentivize the production of electric vehicles by providing subsidies and tax rebates to producers. In 2010, a massive subsidy package for electric vehicle manufacturers of up to ₹950 million was announced, but this plan was swiftly ended in 2012. In 2015 the Faster Adoption and Manufacturing of Hybrid and Electric Vehicles (FAME) plan were announced, along with ambitious goals of 7 million EVs on Indian roads by 2020 and production of exclusively electric vehicles by 2030. FAME provided further subsidies to producers, along with incentives for state governments to introduce EVs in public transport. However, such incentives were only available to cars manufactured in India; this, in turn, reduced market competition to only Indian manufacturers, thus further increasing the price of electric vehicles and deterring possible buyers. While FAME also laid out plans for charging infrastructure around the country, there are still less than 250 charging stations in all of India, making EV ownership a difficult task. Thus, with no incentives and high costs for buyers, and low demand, the Indian EV market is struggling to gain momentum. Considering the difficulties faced by the Indian EV industry, the government could certainly use the example of the United States to guide their own policy decisions and spur the market. A study by the International Energy Agency suggested that four major policy factors contribute to electric vehicle markets. Those included: research and development support, clear and achievable targets, financial incentives, and policies that increase the value of owning electric cars. 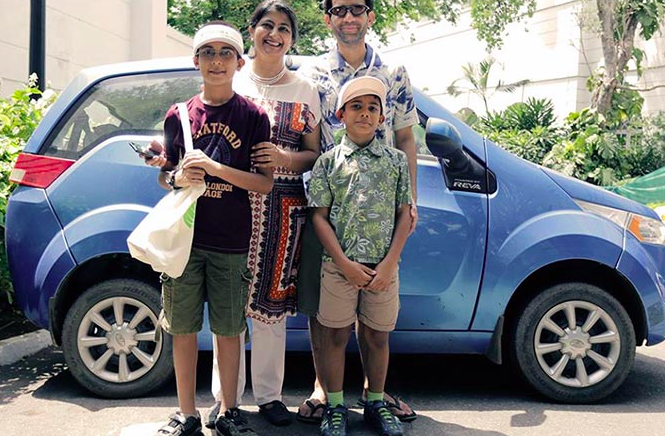 Indian EV policy can be implemented in all four areas, with increased funding for EV research potentially reducing the costs for producers, and more achievable targets engendering genuine motivation from EV manufacturers. Financial incentives similar to those in the United States (such as tax credit and exemptions) could also stimulate the industry while other policies, such as reduced toll fees and dedicated parking spaces for electric vehicles could be implemented to increase value for EV owners. 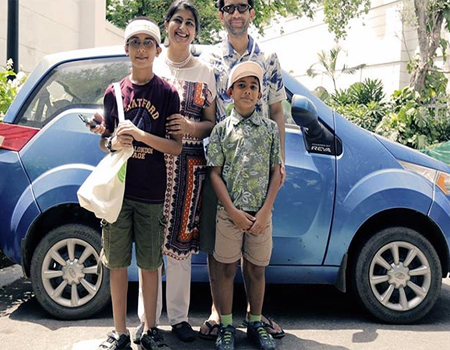 The Indian government has already announced plans to reduce the bureaucracy surrounding EV ownership, eliminating one of the significant factors that deterred people from buying EVs. The government could even go one step further by introducing incentives for local governments to purchase EVs for municipal fleets. Considering a large number of public transport vehicles in India, this could help lead the population by example, garnering a collective sense of urgency about this matter. If India were to use the United States as an example and implement similar policies, then India would not only gain a flourishing EV industry but also achieve better, cleaner air and a better overall economy. Indian-American Congressmen Ami Bera and Ro Khanna won their respective primaries in California and will run for Congressional seats for the U.S. House of Representatives in elections to be held in November 2018. USINPAC has supported both candidates in the past and continues to extend support that is significant to the candidates and for the Indian American community. Three-time Congressman Ami Bera from the 7th Congressional District of California received more than 51 percent of the votes in the open primary. His nearest rival, Andrew Grant from the Republican Party, received only 32.9 percent of the votes. “Dr. Ami Bera is humbled by the overwhelming support in his primary victory last night, and it is a testament to the real results he’s achieved for California’s 7th Congressional District,” his campaign manager said. Congressman Khanna, who entered the U.S. House of Representatives for the first time in 2017, received an overwhelming 58.9 percent of the votes in the open primary for the 17th Congressional District of California. His nearest rival Ron Cohen from the Republican Party received 25 per cent of the votes. In California, the top two candidates in a district irrespective of their party affiliation in the open primary head for the general elections. Both Bera and Khanna, who represent different areas of Silicon Valley, are expected to win their House races in November. On behalf of the Indian American community, USINPAC congratulates Mr. Bera and Mr. Khanna on their victories in the primaries and looks forward to their wins in the 2018 midterm elections this November. The three other Indian-Americans – Hirsh Singh, Goutam Jois, and Peter Jacob — who were running for the U.S. Congress from New Jersey lost their Congressional bids at the primary level. For too long, the U.S. has been going from crisis to crisis: Iran, North Korea, and Syria. Because India is a large, stable democracy, there is sometimes a sense that the U.S. can buttress relations with India, later, after the “crisis of the moment” is over. That’s not good enough. We need a broad-based partnership that should be viewed and built in the context of U.S.-Asia Pacific relations. Why? The same can be said of the U.S.-India relationship. No one pretends that it is perfect. But it just might exceed our expectations if we reshape our thoughts and actions. And so, in a new series of postings, this blog will put forth step-by-step ways about how we can buttress our relationship beyond security-related posturing, though security is and should be an essential component of our partnership. So should a U.S.-India Investment treaty and sensible dialogue on people mobility. Our partnership has the potential to influence regional and global policy-making, and it’s high-time we make a hard push for a special relationship between the U.S. and India. As both the United States and India look forward to strengthening their defense partnership, the recent passage of the American defense budget is a clear step in the right direction. Congressman Ami Bera (D-CA), one of the five Indian-American members of Congress, attached an amendment to the budget that addresses the strategic alliance between the two nations. While the amendment does not specifically allocate any of the defense budget, which totals over $621 billion, it does set a 180 day deadline for the development of a strategy that will advance the U.S.-India defense partnership. 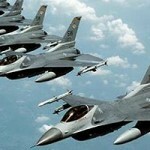 The amendment requires that the Department of Defense and the Department of State work together to form this strategy. The passage of this amendment is a concrete action by Congress that shows that representatives value strong bilateral relations with India and recognize the mutually beneficial nature of the relationship. Furthermore, the addition of this amendment displays the importance of Indian-American representation in Congress. Indian-American representatives that advocate for the community, like Congressman Bera, help ensure that the needs of Indian-Americans are properly represented and that the community remains visible to the American population as a whole. As the National Defense Authorization Act (NDAA) moves to the Senate, it is exciting that Senator Kamala Harris, the first Indian-American senator, will be able to represent the Indian-American community, as well. Ultimately, the United States-India defense partnership is key to maintaining geopolitical stability in Asia and across the entire world. Especially after the successful visit by Prime Minister Narendra Modi to the White House in late June, it is integral that bilateral relations progress at a swift pace. Fortunately, there are many indicators U.S. government seems to be enthusiastically working with India to accomplish this task. 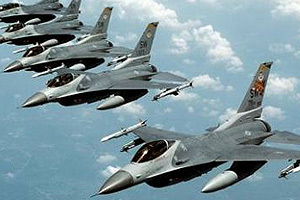 On July 14th, the U.S Department of Defense published an article titled “U.S.-India Defense Relationship on Positive Trajectory, DoD Official Says,” which discusses the recent selling of both manned and unmanned American aircraft to India. Additionally, the article highlights the productive meeting between U.S. Defense Secretary Jim Mattis and Prime Minister Modi. 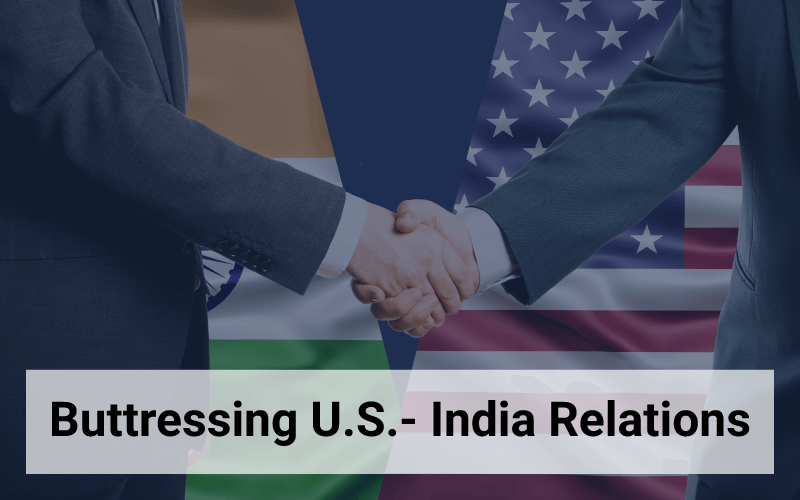 All in all, the increased focus on the relationship between the United States and India over the last month demonstrates that the American public views India as a critical ally, and that both nations are excited to advance their partnership.